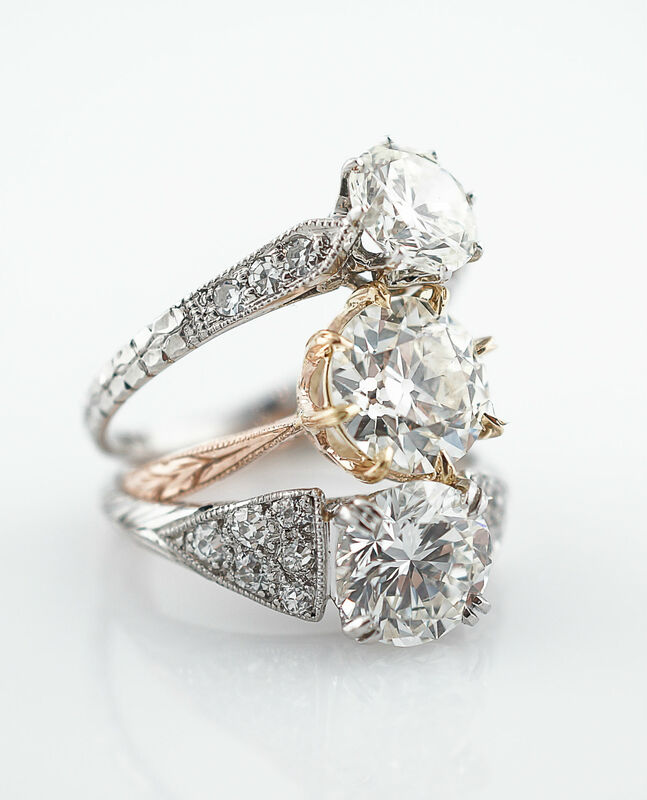 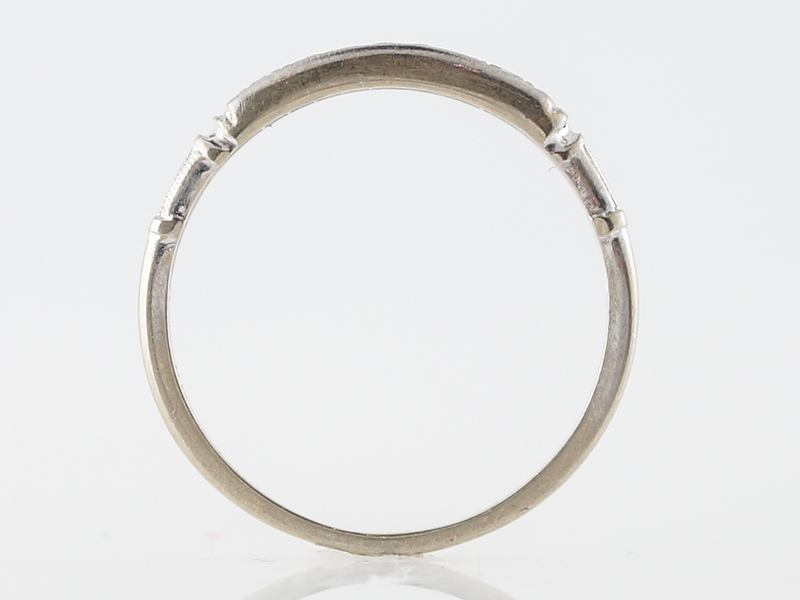 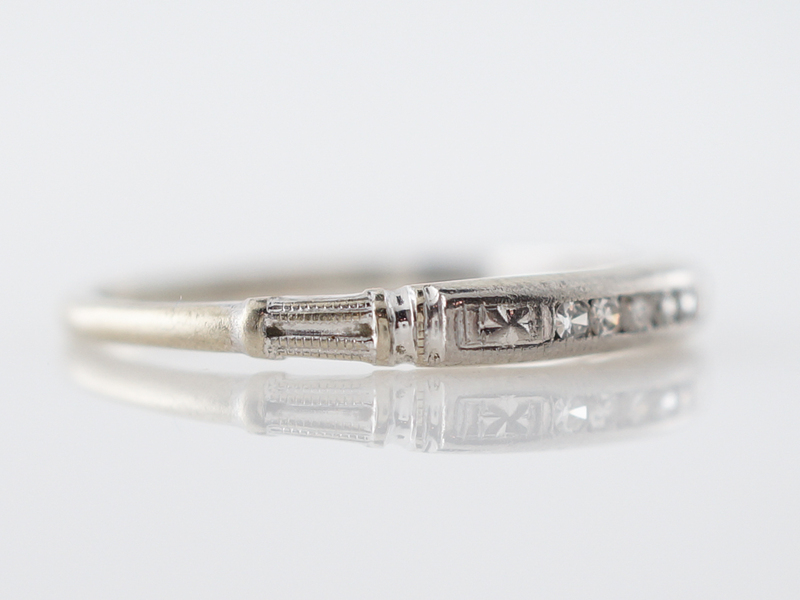 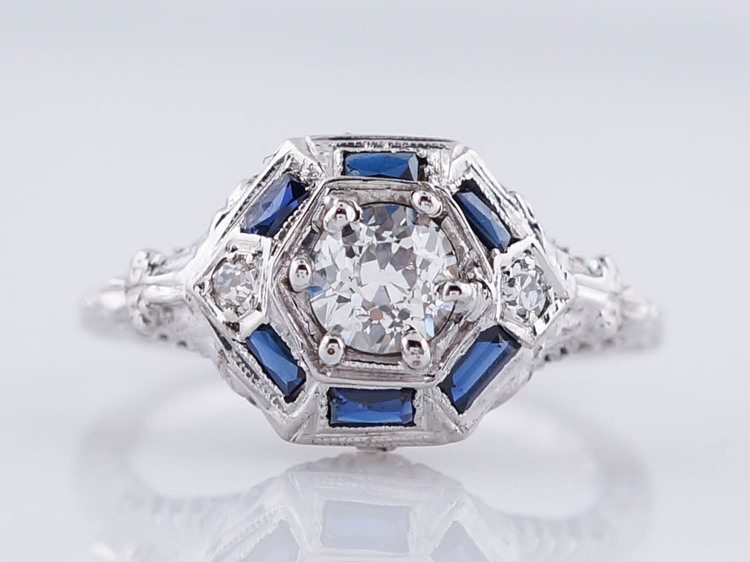 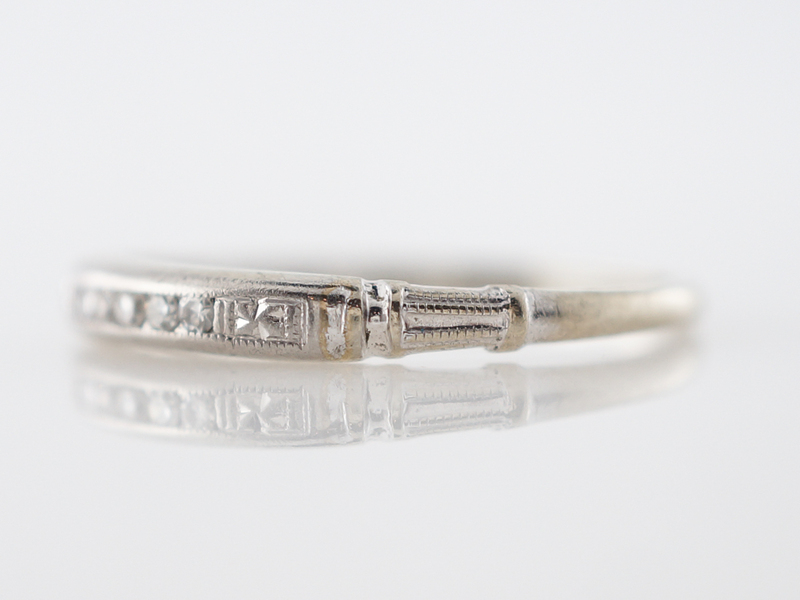 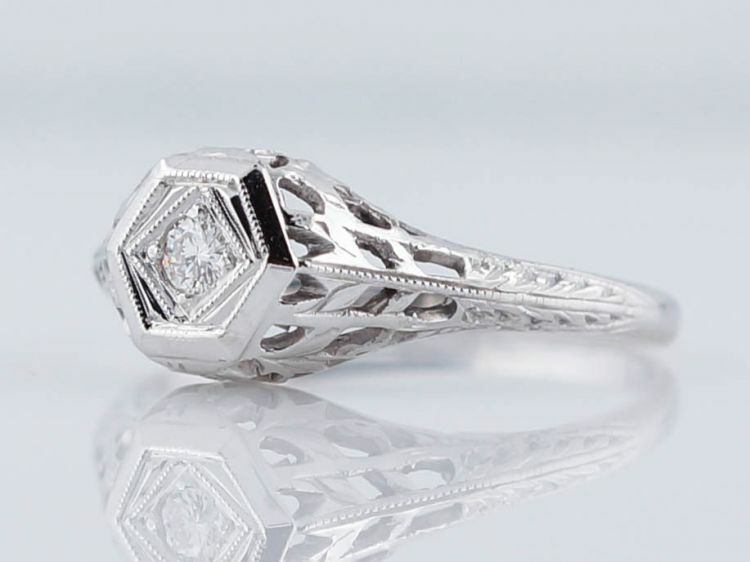 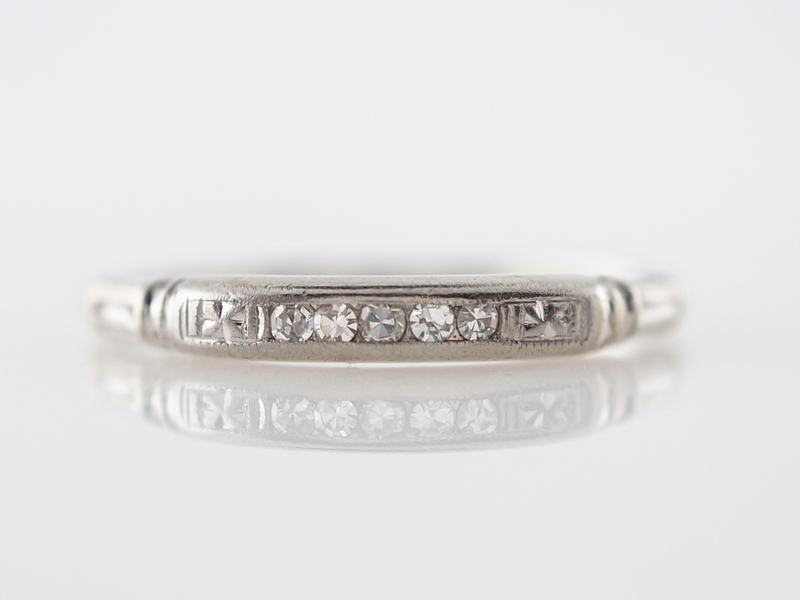 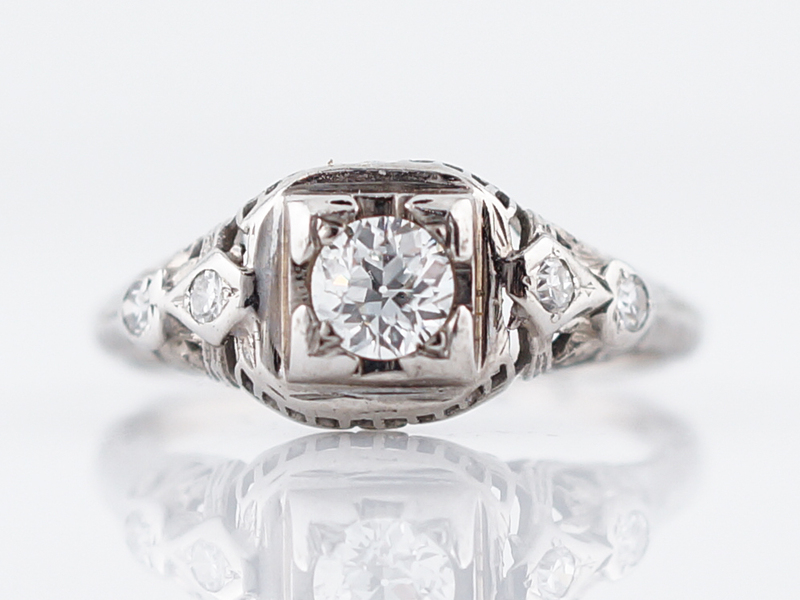 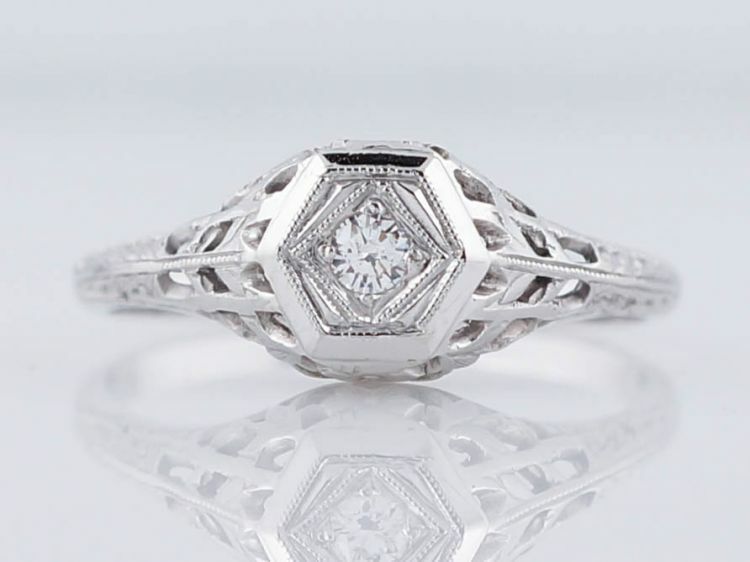 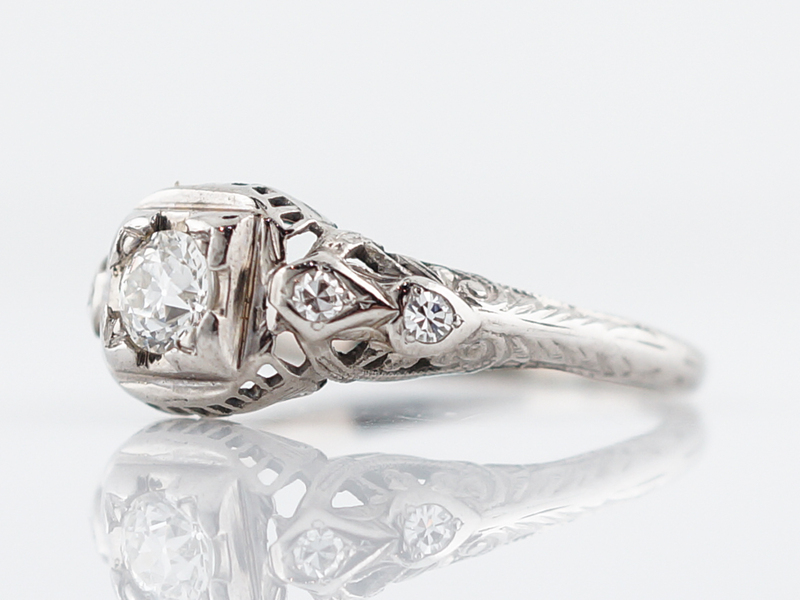 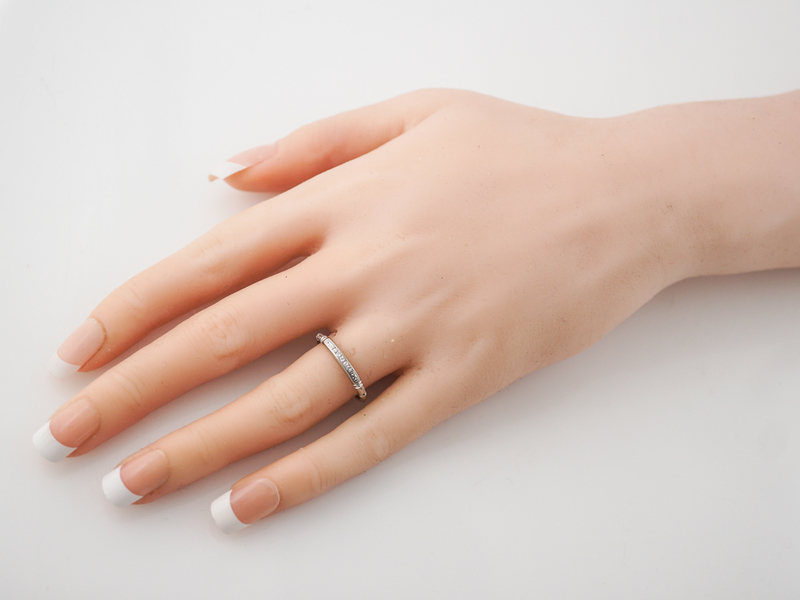 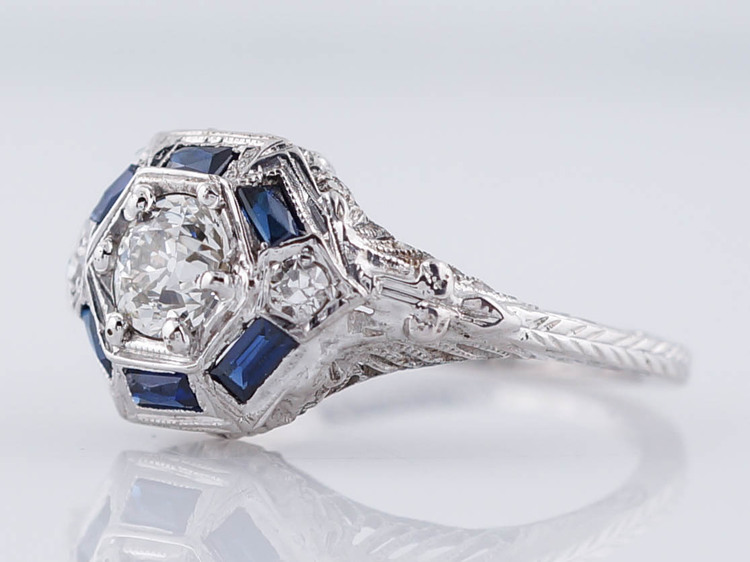 This original antique Art Deco diamond band is simple and classic. 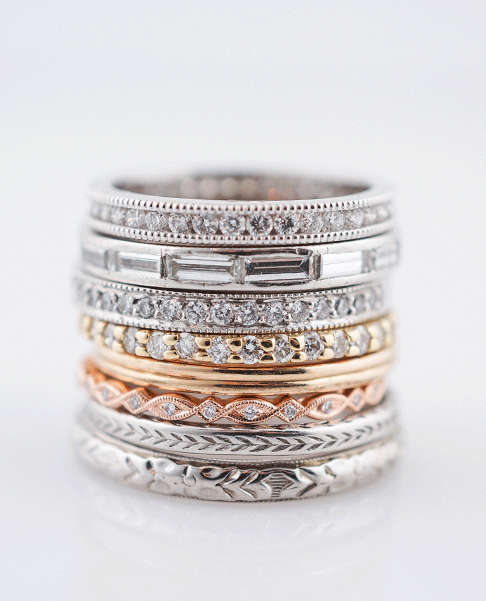 The band features five (5) single cut round diamonds set into 18 karat white gold with a small orange blossom on each side. 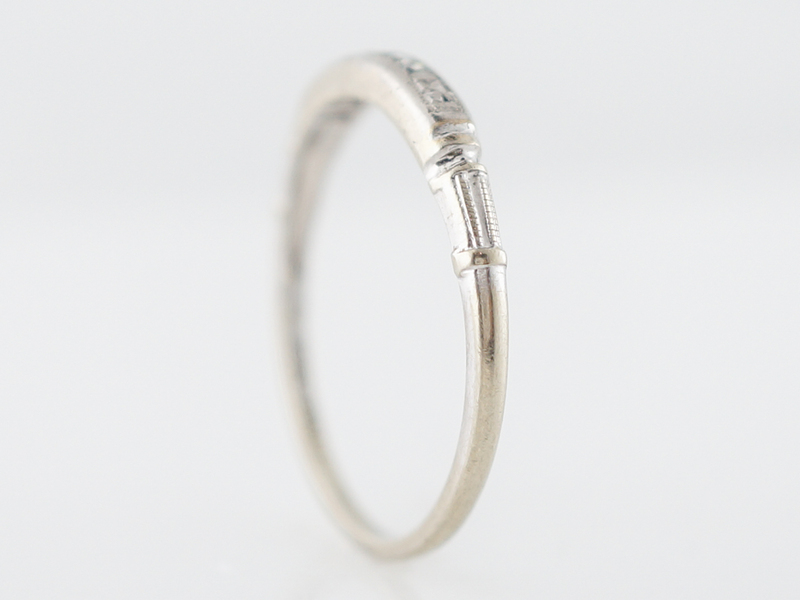 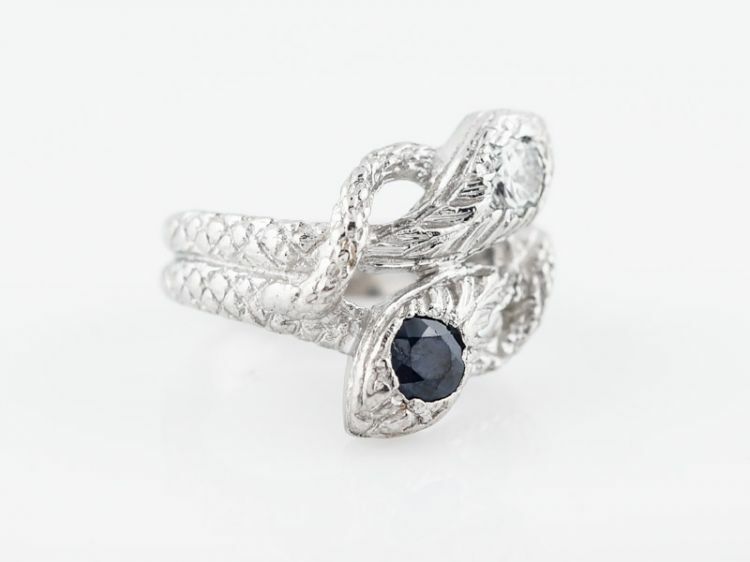 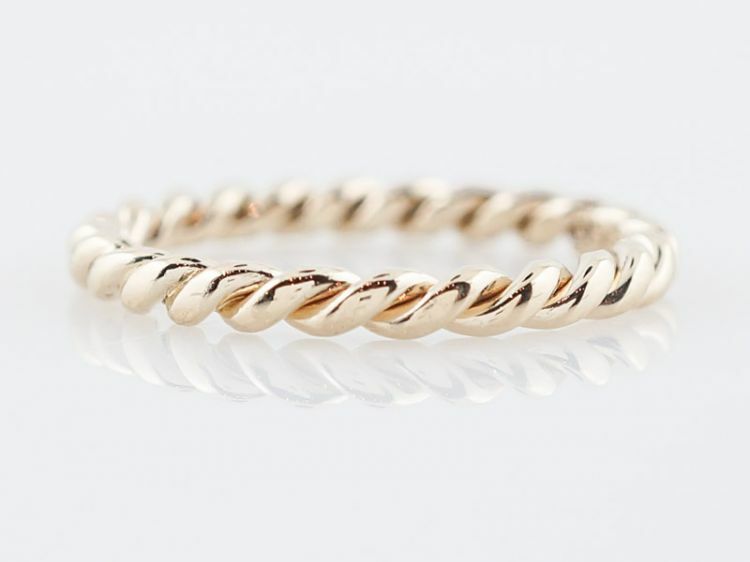 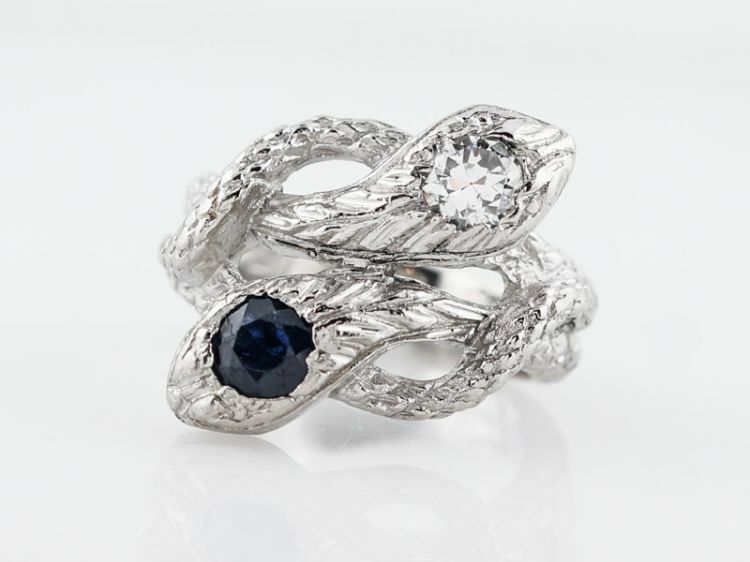 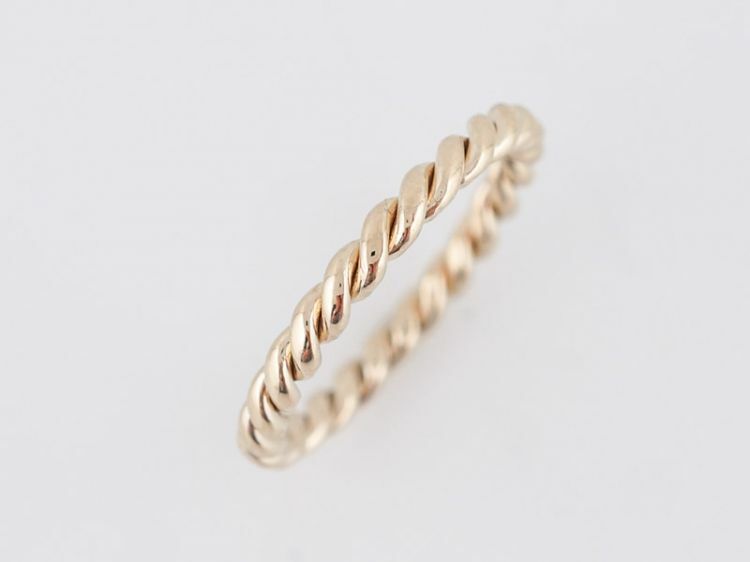 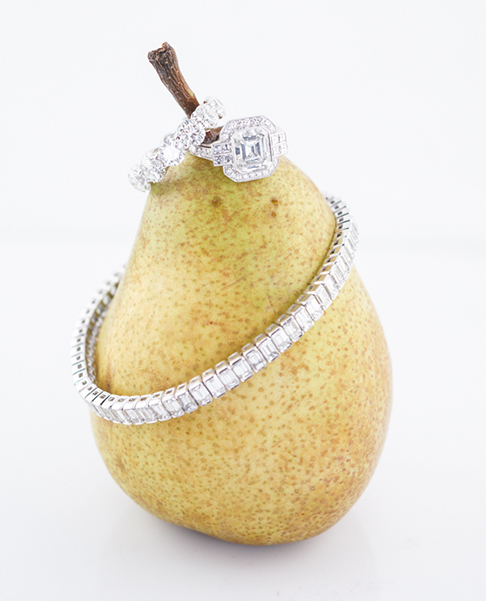 The band is simple and timeless with a touch of brilliance.